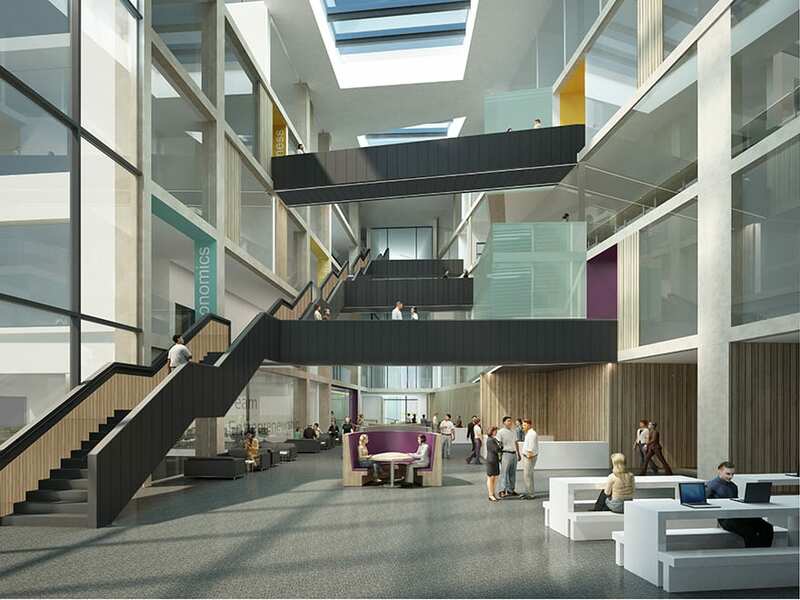 In the heart of the University of the West of England’s Frenchay Campus, ISG is building a £50m development that will house Bristol Business School and Bristol Law School in a seven-storey block. The scheme covers a total area of 17,000 sq m, comprising two wings of accommodation separated by a large central atrium. Innovative methods of study and work include a suite of social and learning spaces that allow students, staff and business people to work more closely together. Other spaces include two showcase law courts, a city trading room, a 300-seat lecture theatre, two Harvard lecture theatres and technology enhanced active learning classrooms. 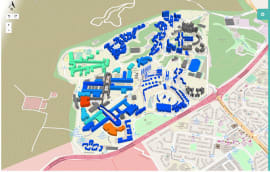 The project served as a testbed to set benchmark standards for future UWE projects on a newly expanded area of the university slated for extensive redevelopment. 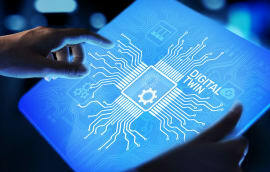 “We are as close as you can get to Level 2 BIM,” says Andrew Kingdon, associate architect at Stride Treglown, which acted as BIM coordinator for the project. 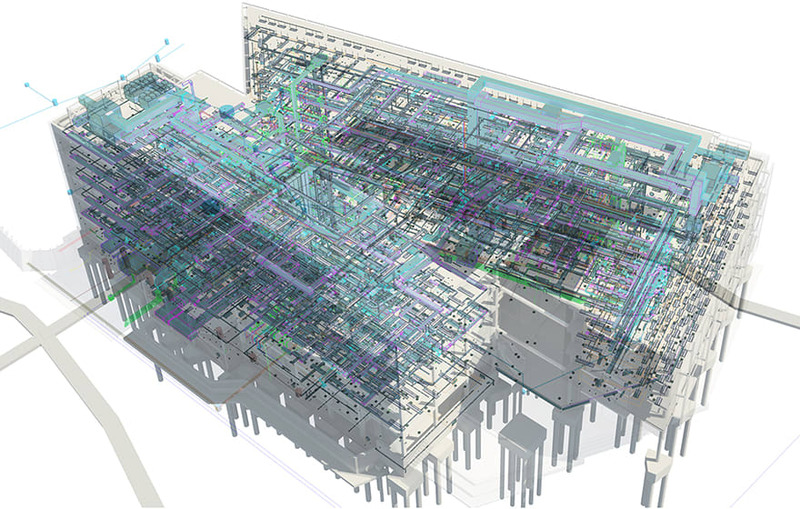 “We developed a BIM Execution Plan, a matrix of responsibilities for modelling, and Level of Detail requirements for COBie data drops. 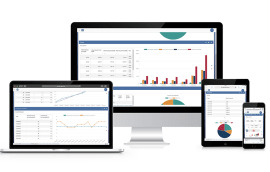 A key focus was on meeting the client’s needs for ongoing operation and maintenance and tying all information and data into their existing FM software, Archibus. “It was about ensuring that everything we did met their needs, so at the end of the project [in early 2017] we aren’t handing over unnecessary data. 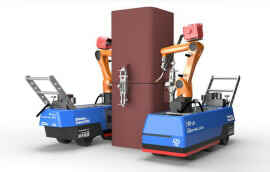 The list of maintainable assets was really driven by them,” says Kingdon. Stride Treglown has a separate appointment as BIM consultant, on the UWE client team, to ensure all models from consultants and subcontractors provide the required FM information. Meanwhile, virtual reality software was used extensively to allow the client to understand and suggest modifications to designs in BIM. 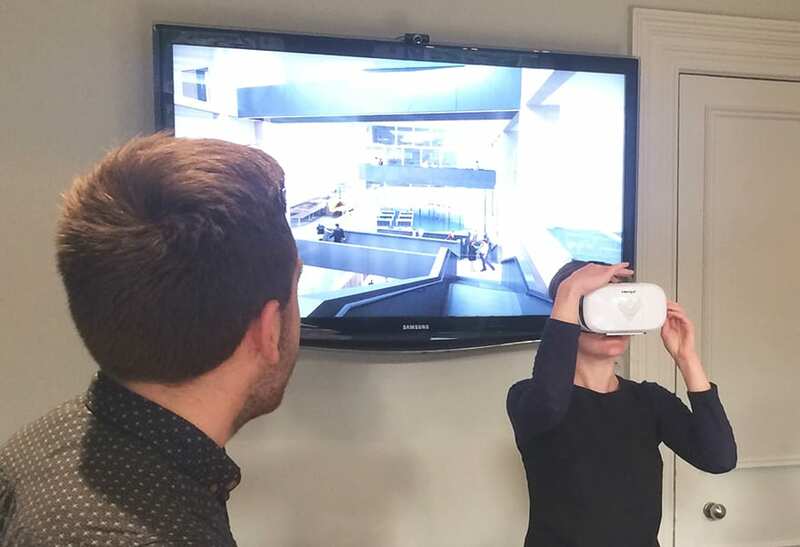 A bespoke app was developed, by 3D visualisation consultant Soluis, to run VR “fly throughs” of the fully coordinated BIM model, containing architecture, structure and MEP, on a smart phone inserted into a Google Cardboard headset. This allowed the client to experience the “wow factor” spaces and suggest changes. The Revit model was input into Revizto software to enable the client and end users to experience 3D walk-throughs, on an iPad, and quickly alter colours and material finishes to view the direct impact on environments. Creating a walk-through first involves defining a “scope box” (an area of the scheme) in Revit, then exporting it to Revizto using a plug-in for Revit, to enable editing and visualisation. In one 3D walk-through, the client noticed low light levels and a feeling of being too enclosed in a corridor adjacent to a staff area, and therefore requested that larger glass panels be inserted into the corridor wall. Revizto preserves all BIM object data and linked files and enables issue tracking on various platforms. As practical completion approaches, the project team is finalising as-built models and tidying up BIM models ready for the final COBie data drop. 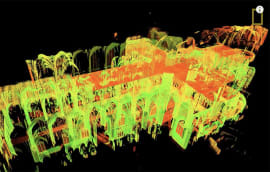 Apart from the post-handover benefits for its FM team, UWE plans to use the BIM model and Revizto as a teaching tool in the School of Architecture and other faculties for the built environment.